It’s been said that there are two kinds of people in the world. Those who think there are two kinds of people in the world, and those who don’t. I’m very much in the latter category. Life is glorious, mixed-up and unpredictable. And that’s before we even get to football, let alone Dumbarton FC’s 2009-10 season. Mind you, football fans might still constitute an exception to my general refusal to think about human beings in binary opposites. Because let’s face it, when we’re not being misguided optimists, we’re being mildly (or extremely) irritating pessimists. Don’t let the ones who pretend to be aloof and reserved fool you, either. They’re just confused, or pretending they’re viewing things from an imagined loftier height. They may say, “I’ll wait and see”, but their guts are secretly grumbling “we can still do it” or “we’re scuppered”. Possibly both. According to my ‘pastry theory’ of football satisfaction, that’s why so many pies get consumed in grounds up and down the country. It’s the only sure way of quelling that unstoppable lurching of the stomach between victory and defeat. The one that announces an impending kick-off. In short, show me someone who’s indifferent to the careless swings of semi-rational expectation which accompany the build-up to any match involving their team, and I’ll show you someone who doesn’t really love the game… or wishes to dear life that they didn’t! Besides, this has hardly been a season for the even-tempered. Last week, Sons visited league leaders Alloa Athletic and stunned them with a Winters and Wyness powered 2-1 victory that kept the play-off hopes alive. Just. Unfortunately, Brechin City forgot to lose for a second week in a row, while Dumbarton had previously managed to claim only one point from the bottom-placed side in a six-goal SHS thriller. Frankly, many of us would have settled for a boring 1-0 win. But, that, as they say, is football – and this is the last chance saloon. Or at least, it is if Brechin didn’t win at home to the Blue Brazil on Tuesday. If they did, it’s consolation time. Me? I’m writing in anticipation that all is still to play for – that like the General Election we are all loving, hating or not caring two hoots about at present, the final verdict on the Sons’ first year back in SFL Division Two will go down to the wire. In theory (which has counted for little this term) two straight wins against Arbroath and Clyde ought to be well within Dumbarton’s grasp. But given our inferior goal difference, that would still leave us needing the men from Angus to claim no more than two points against Cowdenbeath again (away) and Stirling Albion (home). Then we could still be fighting for a First Division spot in August. Well, it would be mathematically possible, but even if the result on 20 April went our way, you’d have to be solidly in the reckless optimism camp to think it’s actually going to happen. Oh, go on then: the Hedgemen have been inconsistent, they’ll be anxious about Sons staring up their rear (so to speak! ), and they’re facing two sides still in contention for an automatic promotion spot. There, solid reasons why they might fluff . Believe me? Thought not. Ah, but you still hesitated, didn’t you? We all want to think the dream is possible. Therefore, however tenuous, it is. Meanwhile, if the dust has not settled, the Sons will need all their Rock-like qualities today and next week, because the worst of all outcomes would surely be that Brechin do indeed gain only two points by the final whistle next Saturday, while Sons have thrown theirs away needlessly. Please, no. Ah well, later tonight we can forget our cares for a bit and enjoy the end of season dinner dance and awards ceremony. See you there, I hope. A few months ago I was contemplating an extra ‘exiles’-sponsored Personality of the Season award. But that’s a plan still waiting to be hatched. My own vote would have gone not to an individual, but for everyone involved in the Sonstrust, not least the hard working people on the committee and Trust director Alan Findlay. Heroes, one and all. Thanks also to the gaffer, the players, the staff and all involved in running and supporting the club. It seems a long way back, but after the triumph of the Third Division Championship we were hit as hard as we could be by the tragic loss of Gordon Lennon. Today we remember him again, and we’ll go on remembering – by going forward, together. Let’s hope for a little football magic this afternoon, too. That would be appropriate. Brace yourselves, then. Until recently not much Flybe traffic was getting through in the wake of all the volcano ash around, but Exeter City most definitely need ‘take off’ this afternoon, and over the coming two games away at Hartlepool and here at St James’s against Huddersfield, to ensure that we do not crash and burn in the last few kicks of the season. To say last week’s 3-1 defeat at Tranmere was a disappointment would be an understatement. If the result had gone the other way, City would have been eight points clear of danger before Tuesday night’s catch-up game for Rovers against Brentford. It hardly needs saying that “if” is the most impotent word in football, especially when combined with hindsight. The previous Saturday is ancient history now, and all Exeter eyes, hearts and minds are now fixed on the task of overhauling Charlton Athletic, who in turn will be desperate to pick themselves up from their Norwich defeat in order to secure a play-off place and keep the side in with a slender chance of automatic promotion if Leeds slip up again – as they might. But frankly, what’s happening at the top of League One is of little interest or consolation to Grecian hearts, more intent as they are on not being broken than in wasting tears on the jostling of the big boys. The relevant fact for Paul Tisdale’s team is that Charlton will be in no mood to show generosity or quarter today. So this game has all the ingredients for hard fought, end-to-end entertainment. But let’s be honest, City fans would happily settle for 93 minutes of unalloyed goalless boredom if a winner in the last gasp of time-added-on was guaranteed. Which it won’t be. This season the Grecians have had their ups and downs (more of the latter, as our league position shows) and along the way have displayed more than a few moments of promise, quality and inventiveness. But it is mistakes and lapses that have cost them precious points and left, if not a mountain (let’s be positive), at least a steep hill (let’s also be realistic) to climb. So bring on the jets, boys! Beating Charlton is going to be very hard, but it is well within the realms of possibility. As I mentioned in my programme note for the (disappointing) Leyton Orient game, I saw the O’s take on and overcome Athletic 1-0 at the Valley back on 25 January. They did it by being at the top of their game, matching the Reds for flair, pace and commitment, and then making sure that they hassled and harried every ball. After what proved to be the winner went in, it looked for a time as if Charlton were going to steal back. But then Orient pushed forward again, not by sitting on a lead (or recklessly trying to add to it while leaving them exposed, either), but by moving up from the back and continually trying to take the game to their opponents. It was heart-stopping stuff, and anything like that this afternoon would be welcome entertainment. But the outcome is what really counts, for both sides. The pitch at St James’ is hardly likely to be as smooth and invitingly playable as the Valley was that cool February evening either, but City surely know how to play at home – and as the gaffer rightly suggested earlier on this term, it is likely to be our Devon exploits that keep us in this division, rather than travelling fortunes. Positively, then, two of the Grecians’ final three games are on domestic territory. The trick is that they are also the toughest ones. My guess is that six points will do it. But nine has to be the target, to ensure that City really are masters of their own fate, following Brentford’s helpful victory over Tranmere on 20 April. My late grandad’s Bees have inadvertently kept City buzzing just that bit louder over the past few days. Now is the time to turn up the volume against the east Londoners again. Meanwhile, as we agonise over every kick, ball and decision, a little secret mantra will be doing the rounds in the stands and on the Big Bank: “Gillingham, Tranmere, Wycombe, Southend… stay down.” For while wishing none of them any ill-will (and I don’t), those are the sides who will stand between Exeter City and League One football again in the summer – after England’s World Cup fortunes have… oh, I’ll let you finish that sentence as you wish! Realistically, the Gills and the Rovers are the real survival rivals. But no half-thoughts should stray in their direction today. Every ounce of effort and grit is needed within St James’ Park to will on Exeter City to a morale-boosting, point grabbing win. We’ve got to want to succeed. Then we can. At this stage in the season, football fans and programme columnists alike are known to stare at the remainder of the fixtures list, blink, take a sharp intake of breath, note that there are only three games remaining after today’s match… and wonder where on earth the season went! Up until Christmas, there’s “a long way to go.” Then, by the time January has slipped away without anyone quite realising it, we’re on the rapidly accelerating path to the end of April and the beginning of May – when reputations are won and lost, prizes collected or discarded, and addicts are beginning to contemplate the horror of a Summer without the Beautiful Game. In this case, of course, there will be plenty of post-season football. But while the sun shines down in South Africa, we know we will be facing another World Cup without Scotland’s presence. There’ll still be plenty to enjoy and cheer, of course. Between now and then we can also take occasional breaks from contemplating Dumbarton’s prospects, in order to read about yet more stray limbs falling off Senor Capello’s squad of budget millionaires. But such joys remain weeks away. In the meantime, we have Clyde at the Strathclyde Homes Stadium again. The red, white and blacks last visited the Rock on 22 August, in the midst of Sons’ grinding six-games-without-a-win start to the campaign. Nevertheless, nearly a thousand spectators turned out that day, and while Dumbarton went in 1-2 down at half time, a strike from Roddy Hunter and then a header from Iain Chisholm salvaged a point at 3-3, interspersed with another lapse of concentration at the back. Plenty of goals, but the gaffer was not amused. Wind forward seven months, following that awful fixture-numbing freeze, and almost a month ago today Sons made up for that poor start by claiming a pleasing 2-0 victory over today’s visitors at Broadwood. This time new ’keeper Jan Vojacek and the defence were in solid form. Mind you, having lost to Stenhousemuir three days earlier, in a yo-yo period when Spring struggled to show its head, Dumbarton fans arrived in Cumbernauld on 16th March hopeful (we were playing the side at the foot of the league) but still apprehensive (anyone can beat anyone in the Second Division). Thankfully, the outcome was a David Winters wonderland, with a brace from the talented youngster securing the win. Just as happily, Scott Chaplain (home to Stenhousemuir) and Dennis Wyness (away at Stirling Albion) have also emulated the ‘take two’ trick, and by the time you read this there may have been yet more double-helpings in the goal department for Sons. As for the Bully Wee, however, there have been precious few bright moments amid the gathering relegation gloom. Clyde had to release almost their whole squad to avoid administration at the end of last season, when they were demoted from Division One. At the beginning of this month, they parted company with manager John McCormack, who had been appointed only weeks before Christmas. In between they’ve seen an influx and outflow of players, misplaced former gaffer John Brown’s body, and suffered a string of body-blow results home and away. However, Sons should not be complacent. Teams who are doomed can often feel a release of pressure leading to recovery on the park. Even in the dark days before arriving here, the Bully Wee have taken points of every side in this division bar Cowdenbeath. They have also achieved some gritty draws on the road. So Dumbarton need to be sharp and attentive to claim the points we badly need. There’s also history to contend with – and for me a couple of those incidental connections we all enjoy reading into the football runes. Clyde’s first ground was on the banks of the River Clyde at Barrowfield. They have also won the Scottish Cup on three occasions, the last being a 1-0 win over Hibs in front of 95,123 at Hampden, a couple of months after I was born in 1958. 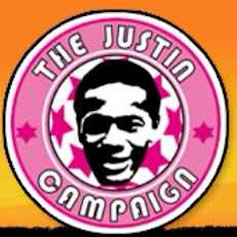 If my youthful interest in Scottish football had been a bit more focussed on happenstance, I suppose I might even have ended up following the Bully Wee – who I still think of in terms of their traditional association with South Lanarkshire and southeast Glasgow, incidentally. Then again, I can’t actually imagine supporting anyone but the Sons. I’m not sure quite how I got here. But I’m glad I did. Let’s hope the boys leave you feeling that way this afternoon, too. Only a week ago I found myself expressing scepticism about the notion that Dumbarton might seriously be battling for a play-off place. The gap seemed too big and the level of consistency required too great. Now, following back-to-back away wins against Stirling Albion and – most recently – Brechin City, I’m starting to have inklings of belief again. Darn it. After that deeply disappointing home defeat to Peterhead, I really did think we’d blown it. It seemed as if Sons’ ability to play well but not claim the requisite result, or alternatively to play less consistently and reap dire consequences, would be our early undoing. Then we claimed two well-crafted victories against teams in the top four, and it looks as if it’s on again. Football is like that. When it’s not providing little cameos of joy, it toys with your emotions in the cruellest ways imaginable. Being a natural sporting pessimist (or a typical Sons supporter, some might say! ), it isn’t the shattered dreams and thwarted desires that get to me. I’m well used to those. No, it’s the dashed cynicism! If you can’t even be right when you’re being harshly realistic… well, I ask you, what hope is there? Of course everything could be turned upside down again after this afternoon’s encounter with East Fife, who topped the Hedgemen on 30 March by twice as many goals as we achieved on Tuesday night. Two, that is. This triumph aside, the men from Bayview, who only a couple of seasons back marched triumphantly past us into the Second Division after beating East Stirlingshire at Firs Park, have had a tough time. That means just one win in five, following convincing victories in mid-March against the Blue Toon and the Red Lichties. Today, the Fifers come to SHS looking uncertainly over their shoulders at the drop zone and urgently needing points to move towards safety. Dumbarton, on the other hand, cannot afford to take their feet off the accelerator if fourth spot is to be in any sense a genuine prospect. The present situation is that in spite of our 1-0 win over Brechin, Sons still trail the men from Angus by two points, the game they have in hand, and a massive goal difference of 16. To put that another way, we need to claim six points over Brechin – the only side we can realistically overhaul for a play-off place – out of a possible 15 available from the remaining five games, this afternoon’s included. With two games each against Stirling and Cowdenbeath plus one against Alloa and another with our opponents today, Brechin have a more difficult run-in than Dumbarton. On paper. On the pitch? Who knows. There’s virtually no margin for error as far as the Sons are concerned, while we are relying on City to slip up two or three times – or those competing for automatic promotion to do us a favour. One good thing about a situation like this is that there is all to play for and not much to lose. Fifth spot, which I have been predicting for some time (though there’s plenty of scope for me to be proved wrong… yet again) would be no shame. Dumbarton fans would have absolutely jumped at it after the first six weeks of the 2009-10 campaign. But there’s an ambition in the dressing room and elsewhere in the club which will not remain satisfied with mid-table. That’s positive, though there’s also evidence that unrealism about your prospects can be just as harmful in football as aiming too low. The point is, what we have to do is “just go for it, and see what happens.” Those rigged old fitba adages keep biting back because, well, they’re true. You can calculate and conspire to your heart’s content from the terraces, and even from the dressing room. But real fortunes are shaped in a few rash or spectacular moments on the grass. Fortune is settled by foolishness, bravery or a bit of both. Unless you’re Barcelona, that is. Then you know you can sweep all before you, as poor Arsenal discovered while the Sons were winning at Glebe Park. Meanwhile, I can report (as someone married to an American) that it was Tartan Day in New York on Tuesday, and my friends across the Atlantic were celebrating all things Scottish, while closer to home some were remembering the Declaration of Arbroath. Let’s hope a good portion of that pride and passion rubs off on the Sons of the Rock, actual and honorary, today. Football loyalty can be an intense, tribal, frightening thing at times, especially when it comes to identification with a particular team and locality, or the rivalry embodied in a fiery derby match – like the one Exeter City fans hope they will be enjoying with Plymouth Argyle next season. To make that possible, the Grecians need to stay in League One so as to be ready to welcome the Pilgrims back to where City-ites think they really belong! That remains a challenging task, too, with this tough match at St James’ against fellow strugglers Leyton Orient next on the menu. Then there are five matches between City and safety. In midweek manager Paul Tisdale named the two qualities that he thinks can make the crucial difference between success and ‘the other option’ this term. They are “steely determination” and “the freedom to play.” They sound opposites. How can you be tight and open, constrained and free, disciplined and adventurous all at the same time, you may ask? Yet that is the epitome of the modern game at its highest levels. When I played the knockabout stuff at school, you could have teams that did well because they were really strong in attack, or rock solid at the back, but not vice versa. It was the old “we’ll simply score one more than you” or “if we don’t let a goal in the worst we can end up with is a draw” syndrome. In professional football you still come across that kind of thing. But it is far less common. The artistry of the game has merged with its science, and aptitude in one department alone has had to give way to competence in all. Of course the Barcelonas of this world can become sublime rather than merely great because of the exceptional talent of a Lionel Messi, but even they have to integrate that magic into a formula which eliminates weaknesses and builds on potential in every area. The ’70s vision of ‘total football’ may never have been realised fully and consistently anywhere, apart from flashes of Brazilian, Spanish and Dutch genius over the years. But the notion of ‘deep football’, in the sense of combining across the board, is the ubiquitous aim now. As a result, my estimate is that the fitness, strength, skill, application and adaptability at the core of third-tier English football would have put today’s sides at least a division higher twenty-five years ago. Maybe more. You can argue over that later. The task in hand is this game with the lads from East London. It’s what the pundits terms, with mocking self-awareness, “a six-pointer”. The winners, if there are such (and no-one would really benefit from a draw), will not only claim three points for themselves but take three away from one of their competitors for the dry land of 20th place. This is where Orient sit right now – with the Grecians just three points, three places and two goals ahead. Below that mark lies a watery grave, a dip in finance and support, plus football in the fourth tier for 2010-11. No-one on the pitch, on the bench or behind the scenes for either club will be wanting to think in those terms for at least 90 minutes. But it is a reality that shadows us all. That said, the Grecians enter this tussle with a booster from some good recent results and form. The gritty 0-0 draw away at Brentford over Easter follows victories against Colchester, Walsall and Bristol, interspersed with single points from Wycombe, Southend and Oldham. Orient, on the other hand, who only a couple of months ago were drawing with Leeds, thumping Bristol Rovers 5-0 and beating Charlton 1-0 at the Valley (I saw the last two of those, and impressive they were), now find themselves on the edge of crisis – if not dangling right in it. Six defeats in the last seven games, slumping nine places from 11th on 2nd February, and sacking manager Geraint Williams after a 3-1 humiliation by Hartlepool… all this puts a very different complexion on their season. Now former Yeovil boss Russell Slade has come in to try and rescue Barry Hearn’s team, with this trip to Devon his first outing in that role. City hardly need telling that sympathy or complacency cannot be allowed any head- or pitch-space today. Personally, however, I want to see both these sides remain in League One. It’s that loyalty question again, with mine spread (though not split). I’ve been following Exeter City as my local side now for seven years. But in English terms (41 years of my life having been fully dedicated to Dumbarton up in Scotland) Orient have been my ‘London team’, thanks to my friend Kevin Scully, an Os fanatic and Rector of St Matthew’s Bethnal Green. 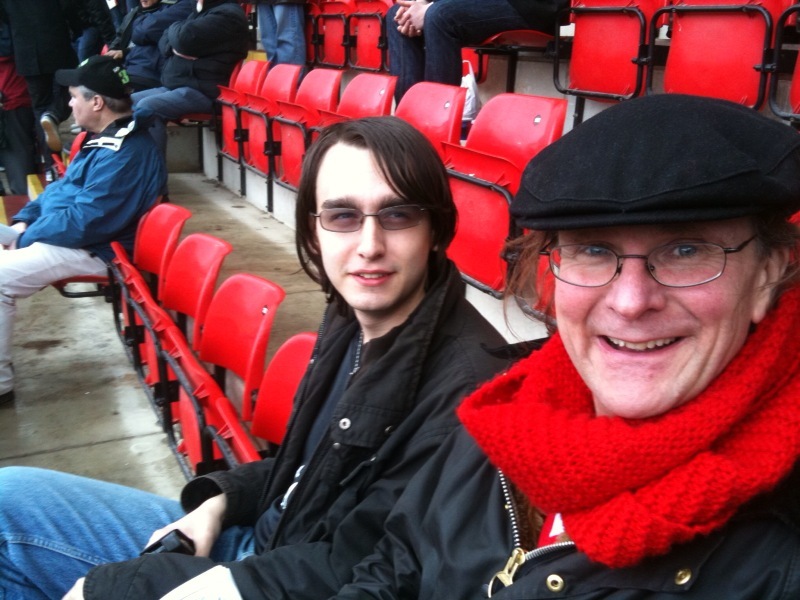 Sadly, he can’t be here this afternoon – though he usually travels with the Orient faithful. I’ll be in the Exeter stands nevertheless. I want it to be a great game; and whatever the result, I definitely hope for a couple of repeat fixtures next season. There's a good interview with Aston Villa manager Martin O'Neill - for whom I have immense admiration as a person, a professional and a 'football man' (dreaded phrase!) - in today's Observer newspaper. Among the choice quotes from interviewer and interviewee are these, concerning the time and tide of fortune amidst the madness that is 'the modern game'. "Taking a year to do anything in football these days is strictly prohibited. The preferred delivery date is yesterday." - Paul Hayward. "While you can have it in your own demeanour, you should not be self-deprecating to the extent that what happens is [that] people hammer the crap out of you." - Martin O'Neill. "It would make me laugh, make me smile, if some manager came in and said he had a five-year plan for a football club. Fine, if you actually own the football club at the same time." - MH again. OK, Mr Findlay (before you tell me), that was the optimum outcome today: both Dumbarton's satisfying 2-1 win away at Stirling Albion, and Brechin's defeat by Peterhead. The Blue Toon have to be looked out for, of course, but Sons have a game in hand over them. What's certain is that if there is to be any chance of nabbing fourth place and a tilt at the play-offs, a run of solid wins will be needed. Great news, therefore, that Dennis Wyness (pictured) claimed a brace of goals. He's taken a little time to bed in, but the promise of Wyness's experience and David Winters' youthful guile could be critical. Scott Chaplain has been nabbing chances, too. In the remaining games, victories will be required against East Fife, Clyde (home and away) and Arbroath. Alloa away on 17 April will be very tough. In a way, the decisive match will be Brechin on Tuesday. A win there could be a turning point. Less than that could be, in a different sense too. There's still a lot to play for. "Only just offside? More like off the pitch altogether!" wrote a friend in a recent email. Fair comment. With work being incredibly busy, and life being very full (in a good way, including the odd match ... and some of them were a little odd! ), I have been sadly neglecting this oasis of football near-sanity for six weeks or so. But with the Easter weekend opening up some space on the wing, I'm back. So while Dumbarton head off to Forthbank to take on Stirling Albion this afternoon, I'm putting my feet up here in Birmingam, ticking off one or two tasks on my domestic list, and starting to do the back-posting of my columns from Sons View and The Grecian. While watching anxiously for updates on the Sons' fortunes, of course. Meanwhile, with back-to-back wins against Colchester and Walsall, my ex-local side Exeter City are looking in much better shape to avoid the drop from League One. There's a long way to go, though. After Brentford away, the Grecians take on Leyton Orient at home. I've actually seen the Os more times than City this term, because of my trips to London and my friend Kevin Scully being a devotee. There's an outside chance I'll make it back to Devon for that encounter. I guess I'll be hoping for a draw. 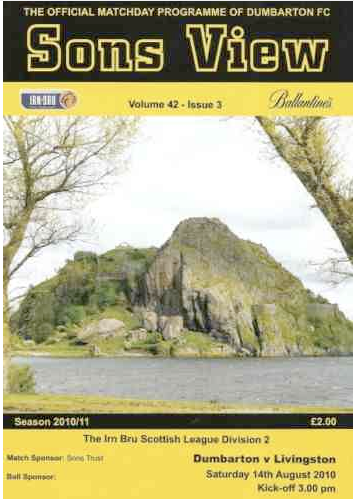 On the other hand, my true beloveds, Dumbarton, who I will next see on the occasion of their last home game, against Arbroath, on 24 April, have had a really up-and-down season: moments of skill and inspiration followed by moments of laxity and indecision, from what I've seen and heard. In the match preview for today's beano with the Binos, the hugely estimable Alan Findlay writes, with loyal and official optimism, that "Sons' battle to claim a first division play-off spot continues." Hmmnn.. well, I'd like to think so, but short of a convincing win this afternoon I fear it's all over, and my longstanding prediction of fifth place remains. We'd have taken that at the outset of the campaign, no question. This is the score: If Brechin lose today and DFC win, the mighty Sons of the Rock will still be 5 and 6 points short of the Hedgemen and Stirling, with our two nearest play-off rivals holding one and two games in hand respectively. Since there will then be 18 points left for Sons to play for, that's a pretty big gap to overhaul. Possible, if Dumbarton go on the kind of run that won us the Third Division Championship last term, but not a possibility the bookmakers would be losing too much sleep over, I suspect. That said, I'd be delighted to be wrong, wrong wrong (yet again). Mind you, if Sons do make the play-offs, my fear then would be us getting promoted and finding ourselves financially scuppered. It's a warped old (mind) game. Hold on, though. If you thought this afternoon’s clash between Exeter City and Colchester United was going to be some kind of stress sinecure, you maybe haven’t been paying sufficient attention to what’s been going on in League One of late! Here is an encounter between two sides at opposite ends of the table, with competing aspirations and rather different fortunes of late, who will both be stretching every fibre and sinew to secure another three points. A relaxing afternoon is unlikely, at least if you have the slightest concern for the fate of either team. At this stage of the season, with eight matches separating us from the final verdict for 2009-10, every game has the potential to develop the spirit of a crucial cup-tie – dogged, thrilling, unpredictable and nail biting. And that’s just in the terraces! For the Grecians, the pressure of the past few weeks has been alleviated by a positive run of results, culminating in a hard-fought 2-1 victory over Walsall at St James’ Park last Saturday. In five games, City have claimed nine points and six goals, conceding four. That followed seven games without a win, during which time we gave away eleven goals and scored just five, following the euphoria of a 2-0 home victory over Leeds United on 16 January. In recent seasons, Exeter have been known among fans and observers for making a strong finish, often after a period of uncertainty or slump. That capacity to respond well under pressure has contributed to the not inconsiderable achievement of two Wembley play-off finals and back-to-back promotions from the Conference and Football League Two over the past three years. This time, however, the Grecians have faced an unrelentingly tough eight months, lightened by some fine performances and one or two notable victories, surely – but also marked by high quality opposition, little room for manoeuvre or mistakes, and results which have proved disappointing compared to the degree of endeavour and skill invested by Paul Tisdale and his aspiring side. Right now, however, City are showing the determination to dig themselves out of the League One relegation mire. Following that Walsall win, Exeter sit two points and three places above the drop zone, with just two sides holding games in hand over us. The team are in the position they need to be – namely, in control, of their own fate. That is vital. Having to rely on other teams to drop points for you is perilous at any stage of the season, but most especially when it is heading towards its climax – because that is the time when you can least rely on those below or around you to do you a favour. Everyone is scrabbling for advantage, especially those for whom it could be a matter of survival or non-survival come May. It hardly needs pointing out that three points for the Grecians this afternoon would be a further huge boost to the confidence of team, fans and city alike. Far from ‘job done’, but heading towards the mid-table boredom that, frankly, we all crave. A point would not be sniffed at either, in normal circumstances, but it is ‘full house’ that the lads will be going for in every game leading up to Huddersfield at St James’ on 8 May. That is the best route to safety. Meanwhile, our opponents will have very different ideas. Colchester United sit on the bottom edge of the League One play-offs, with three hard games against top table rivals Millwall, Swindon and Charlton in the offing. This away trip to Exeter forms the bridge between those matches and a run of results which has been dispiriting, to say the least. If the Grecians have been able to talk about revival of late, the men from Essex, and what claims to be the oldest town in Britain, will be feeling desperate to end a run of six games that has included three defeats (versus Walsall, Carlisle and Bristol Rovers) in spite of seven goals scored. The last two matches against lowly, battling Wycombe Wanderers and mid-table Brentford have seen four scored and four conceded in two draws. Last Saturday the U’s gave away two more points in the 93rd minute, so they will be wanting to make sure they are as tight as possible against City this afternoon. An absorbing encounter is in prospect for a ‘relaxing’ Easter Saturday.